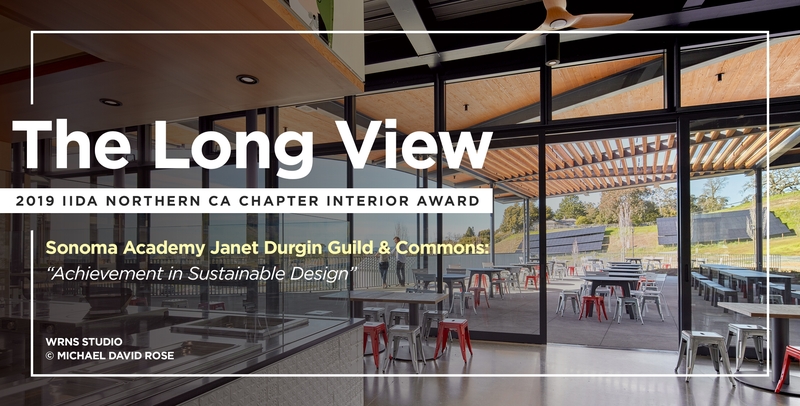 Sonoma Academy’s Janet Durgin Guild & Commons has received the Long View Award in the 2019 IIDA Northern California Chapter Interior Awards for is achievement in sustainable design. The facility was designed with an ‘outside in’ approach, inspired by it’s beautiful natural surroundings. Click here for more information and pictures.